Last Monday, Michael Sochaczevski got some good news. A building owned by his family had been deemed asbestos-free by the Commission de la santé et de la sécurité du travail. 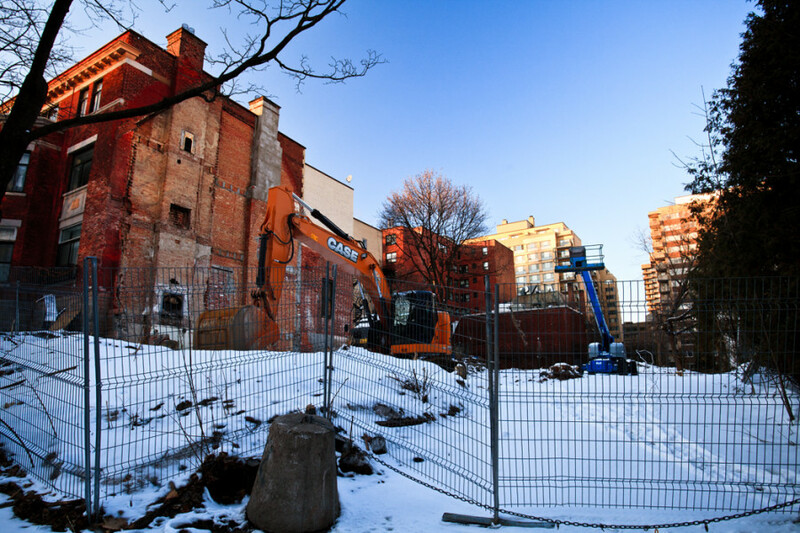 Its demolition could go ahead as planned, clearing the land for a private student residence intended to house Concordia and McGill University students at the cost of $1,000 per month. Normally this wouldn’t be a controversial story. New development projects spring up all the time in Montreal, and the conversion of existing buildings into student housing is common in the city. As early as this past January two private companies purchased the Holiday Inn on Sherbrooke St. for just this purpose. But the house that Sochaczevski’s family finally got the go-ahead to tear down is not a typical property—it’s the Redpath Mansion, built in 1886 and meant to house the daughter of John Redpath and her husband. Redpath founded Quebec’s first sugar refinery and was instrumental in the construction of the Lachine Canal and many of McGill’s early buildings. On Wednesday, the mansion was torn down, ending an almost 30-year struggle between developers, the mayor’s office, heritage groups and concerned citizens. Each year, the non-profit organization Heritage Montreal releases a list of threatened sites and those under observation. This year, like every year since 2008, the Redpath Mansion was listed as threatened. “[The list is] mostly made to point at issues. We use the buildings and sites as examples, but in general we’re talking of issues that touch a number of sites, not just the ones that are shown,” said Dinu Bumbaru, Heritage Montreal’s policy director. Sochaczevski sees things differently, especially when it comes to whether or not the Redpath Mansion qualifies as a heritage building given that it has never been classified as such by any governing body. “There was no heritage, there is no heritage, and it was never classified anywhere because there is no heritage to it, other than it was a property owned by Redpath. That was it,” he said. Sochaczevski’s relationship with Heritage Montreal began back in the mid-1980s when his family purchased the mansion and the land it was on. Since then, there have been a series of struggles between both parties as the Sochaczevski family tried to do what they bought the land for—develop it with the intention of building condos—and Heritage Montreal tried to protect it. In 1986, when the Sochaczevski family began to swing the wrecking ball, Heritage Montreal brought forward an injunction, and the demolition was halted after nearly half of the building had been destroyed. The deal involved adding two additional floors onto the design the Sochaczevskis had proposed and the equivalent height, being four floors, on the adjacent property on de la Montagne St.
“Because of the six extra storeys, whatever the cost of keeping and maintaining the façade, it became economic, it became a worthwhile thing to do,” he continued. Things seemed to be moving forward, but when the economy slowed in the 1990s, construction ground to a halt and nothing was erected on the property, nor was anything torn down. In 1995, however, Montreal’s economy had improved enough that the Sochaczevski family reevaluated the property to figure out what to do with it. 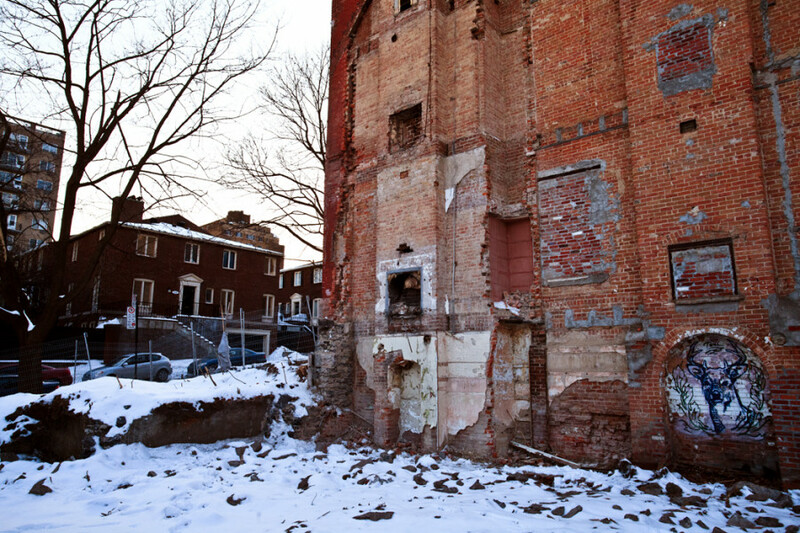 The mansion’s demolition was again blocked by Heritage Montreal following arbitration, because the non-profit felt that the decision to issue a demolition permit required greater consultation. “For whatever reason—mostly because, I think, we had a bad lawyer—[Heritage Montreal] won and the project got stopped,” Sochaczevski said. All of the projects Sochaczevski tried to push through were the subjects of complaints, and up until last week the building at 3457 du Musée Ave. stood as it had since 1986 when its demolition began. “A lot of money to do this, a lot of money to do this,” Sochaczevski said, flipping through the various designs that had been proposed and subsequently rejected due to complaints from different parties. The obvious question is why nothing was done to preserve the building’s fragile state between 1986 and the present, but for Sochaczevski the answer is straightforward. “This building had no reason to ever be saved, and then couldn’t be saved. At the beginning we didn’t take care of it because we didn’t know how, we didn’t know what, we didn’t know it was important to take care of,” he said. For Anne-Marie Sigouin, the heritage and design critic for municipal opposition party Projet Montréal and member of the city’s Culture, Heritage and Sports Committee, the mayor’s office should have done more. Bumbaru agreed, pointing to engineers’ reports as evidence that the building did not have to be torn down. “In 2010, the engineer, who is a respected engineer who worked on parliament buildings in Ottawa, and many of the historic buildings in Montreal, said the structure was valid, could be rehabilitated, it was solid,” he said. “The report [released this February by the same engineer] said there’s nothing to add to the 2010 report. So, when Mayor Coderre says the house is in such a bad shape that it’s a tragic security threat and so on, this is complacency,” he added. The engineer reports produced in 2010 and 2014 differ from the information that Sochaczevski was operating on. He says a 2005 survey they had commissioned found that the bricks themselves could not be saved without heavily investing. 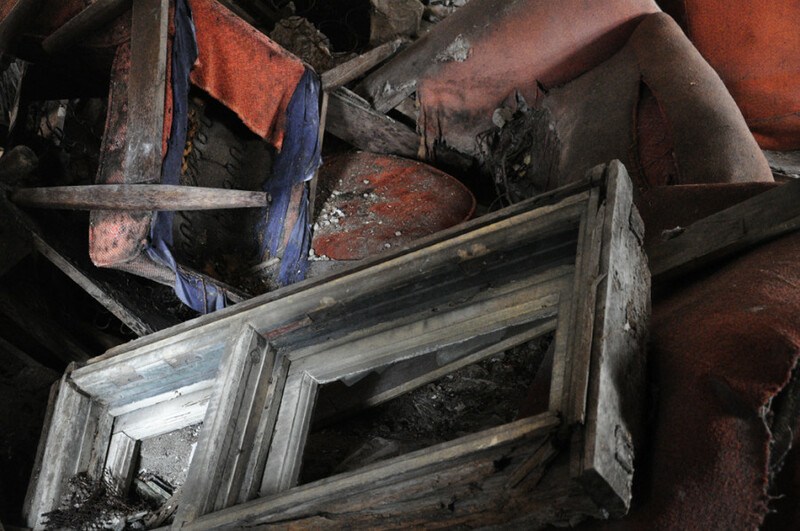 “By the time we were discussing preserving the piece of crap in the state it was, it was 2005. Twenty years after [buying the building], we actually sent engineers. The engineers said, ‘If you take this apart, brick by brick, and numbered them, 70 per cent of the bricks would crumble,’” Sochaczevski said. Sochaczevski stresses that he’s never violated building laws. “We only did things we were allowed to do, we always asked permission first, and when we got told to stop—even though it cost us a lot of money—we stopped the minute we were told,” he said. Now that the building has been razed, the land can be cleared for the planned student residences. It seems as though Sochaczevski will get to realize this 28-year-old goal of erecting a new building on the site, but he still wishes it were a bit different. “Is the dorm project a good project for that area? No. It’s the lowest common denominator. It’s what Montreal, what Quebec, what we are forcing on this place,” he said. Sigouin and Bumbaru also wish it were different—for other reasons. 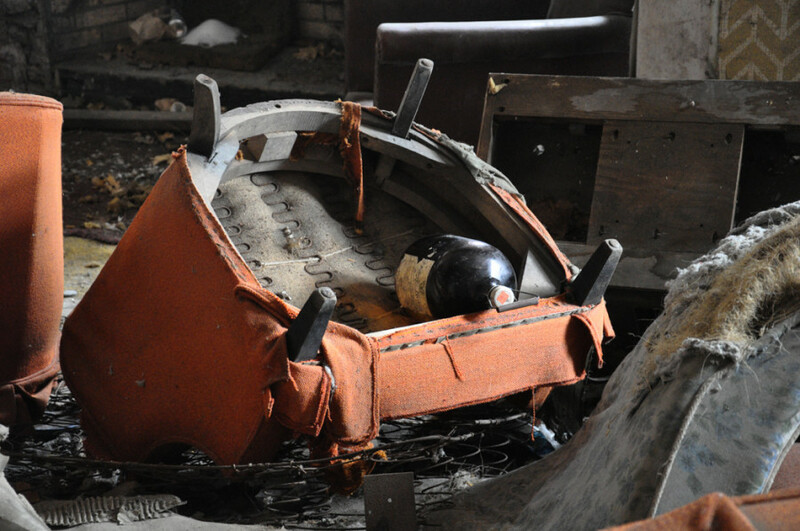 “It’s really difficult to accept that there was nothing done to protect [the mansion],” said Sigouin. “It’s clear that it’s sending the wrong message—that if you own a building and you just let it go like that for years and years and then you ask to demolish it and build something else and the city lets you do that, it’s completely the wrong message to send. “We’ll keep putting pressure on the current administration so that this doesn’t constitute a dangerous precedent for other owners, negligent owners,” she continued. 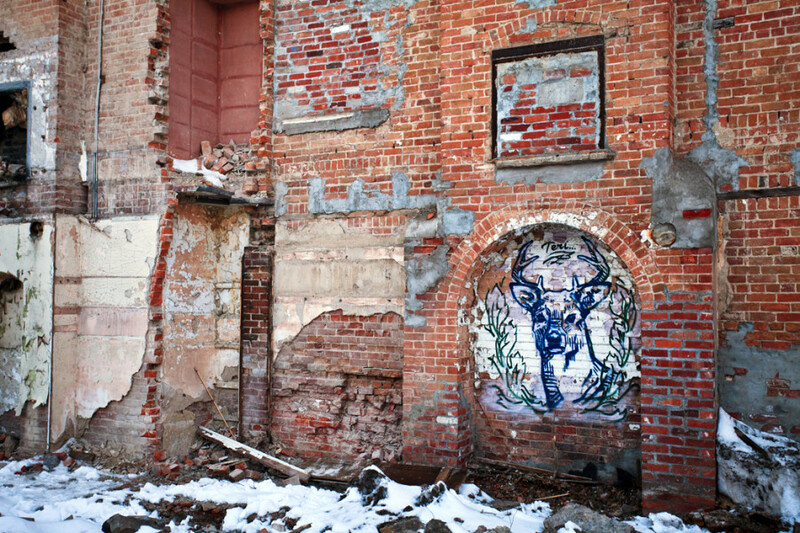 Requests by The Link for an interview with Montreal’s urban heritage department were declined. 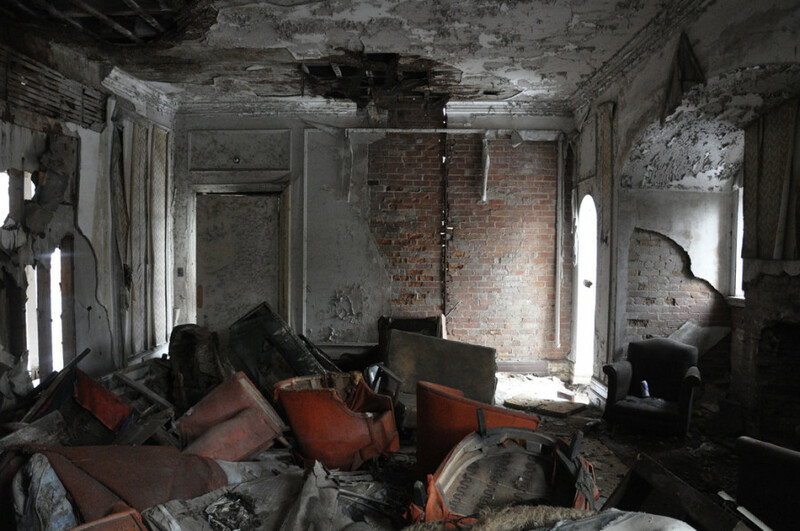 Sochaczevski emphasized that he has nothing against heritage preservation, but stressed that it should be reserved for buildings deemed to have historical importance —something he feels the Redpath Mansion lacked. “Some of the buildings [Heritage Montreal] talks about preserving have true heritage. Some buildings, I would help preserve too,” he said. Bumbaru says new policies could help avoid situations like this in the future. Sigouin pointed to existing regulations on the maintenance of private buildings like the Redpath Mansion, noting that a lack of resources becomes an issue and the regulation becomes hard to enforce. “Certainly we see by all these different citizen mobilizations that heritage is something that Montrealers have at heart, and the elected officials need to wake up and see that it’s important,” she said.